Montoux has been chosen as only one of 6 finalists for Collab 2.0, an open innovation programme run by LumenLab, MetLife’s Singapore-based innovation center. Over the next 2 months, finalists will receive assistance from MetLife Japan’s “Staff Champions,” before pitching their business ideas to senior executives from MetLife at the demo day on 8 December 2017. Montoux, along with the other 5 finalists, have the chance to win a JPY 10 million* contract. 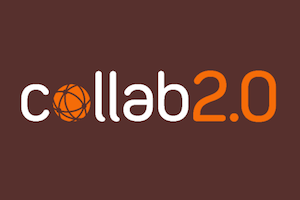 After the success of its first iteration, Collab 2.0 attracted over 111 applications from 24 countries around the world. Following a rigorous application review process, 6 applicants were selected to be finalists, including Montoux, Concierge U, Gnowbe, Moneytree, TrustSphere, and WorkFusion. Read the official announcement from MetLife Japan here. Montoux provides a smarter, faster way to price life insurance products. Since being founded in 2012, Montoux’s solution is proven with prominent insurers across Asia-Pacific, and is now set to upgrade the way insurance companies innovate in North America.